'Satra ko Shaadi hai' revolves around the big fat chaos filled Indian weddings. Sobti is a popular face on television having worked in daily soaps like ‘Iss Pyaar Ko Kya Naam Doon?’ and ‘Baat Hamari Pakki Hai’ while Pabbi has worked in ‘Ghar Aaja Pardesi’ and starred with Arjun Rampal in an ad film. 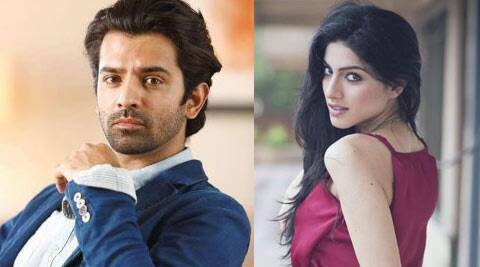 John Abraham, Shoojit Sircar and UTV Motion Pictures have come together for another marital drama ‘Satra Ko Shaadi Hai’, starring TV actors Barun Sobti and Sapna Pabbi. John Abraham will produce the film through his JA Entertainment with Sircar’s Rising Sun Films. With an ensemble cast of over 50 actors and based in the heartland of India -Bhopal, ‘Satra ko Shaadi hai’ revolves around the big fat chaos filled Indian weddings. The film, slated for release in 2015, revolves around an IT boy from Mumba who meets a pretty girl from Bhopal on a matrimonial website. Within days they get engaged under the watchful eyes of their parents and the date is set for the wedding -the 17th March in Bhopal. With the wedding just 6 days away, the countdown begins, and soon enough every function turns into a battle between the two sets of in-laws and the extended families. 2 Shah Rukh Khan wants to make 'Main Hoon Na' sequel!